In this class you will learn the step-by-step landscape painting, basic technique, color mixing and values. The focus of the 4 classes will be to learn painting - skies, trees, water, mountains and textures like rock, wood and stone. Each section starts with simple studies and progresses you through to more challenging examples. 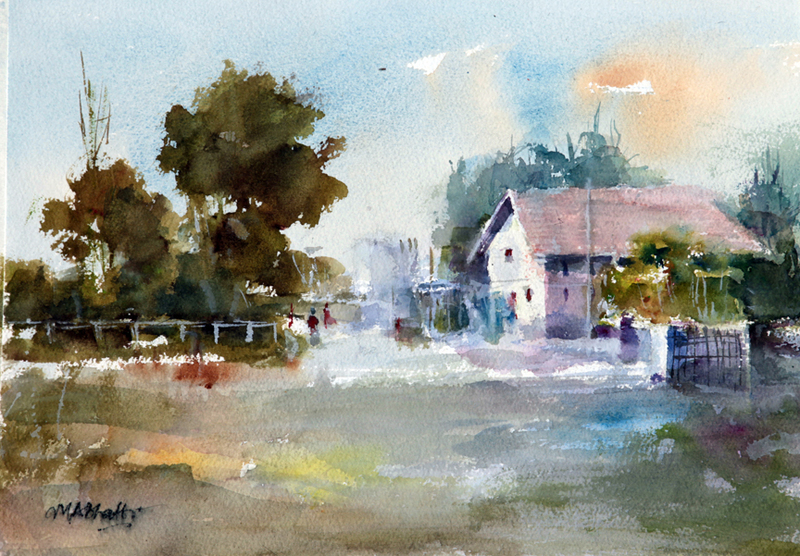 Creating an illusion of distant background, middle, and foreground with transparent layers and especially painting wet on wet is the fun part in watercolor medium. Eraser – masking tape – sharpener - paper towels – etc. artistmohdali@yahoo.com 281-818-6893 Click here to visit his website.